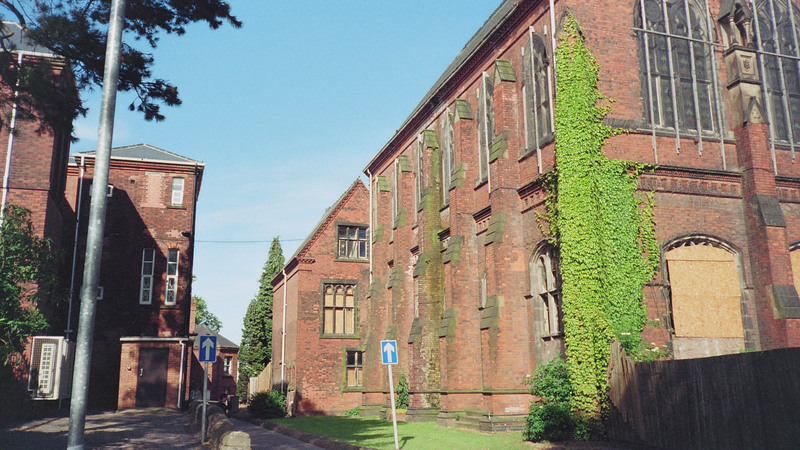 Status: Main buildings intact and in mixed education and housing use. 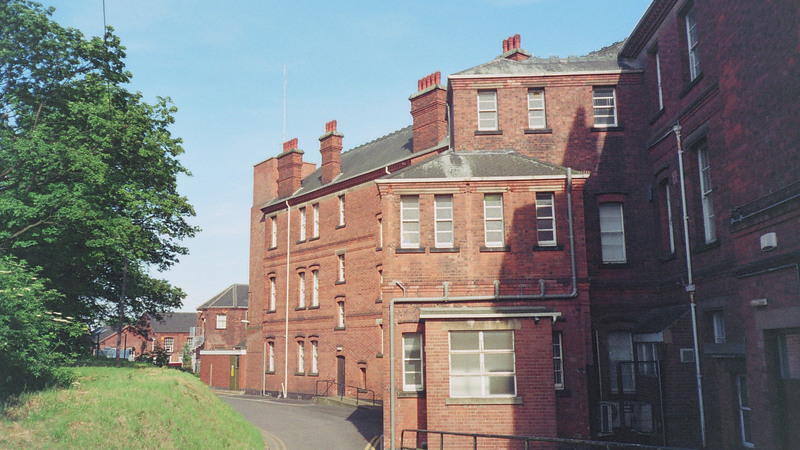 Nottingham founded its public General Hospital in 1781, and as early as 1788, the Committee had the foresight to begin collecting funds to build a public lunatic asylum, 20 years before the County Asylums Act of 1808 gave formal shape to the procedure. 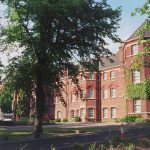 Largely due to this forward-thinking attitude, Nottingham was to build the first proper County Asylum in England and Wales at Sneinton, in February 1812 (see Sneinton Asylum page). 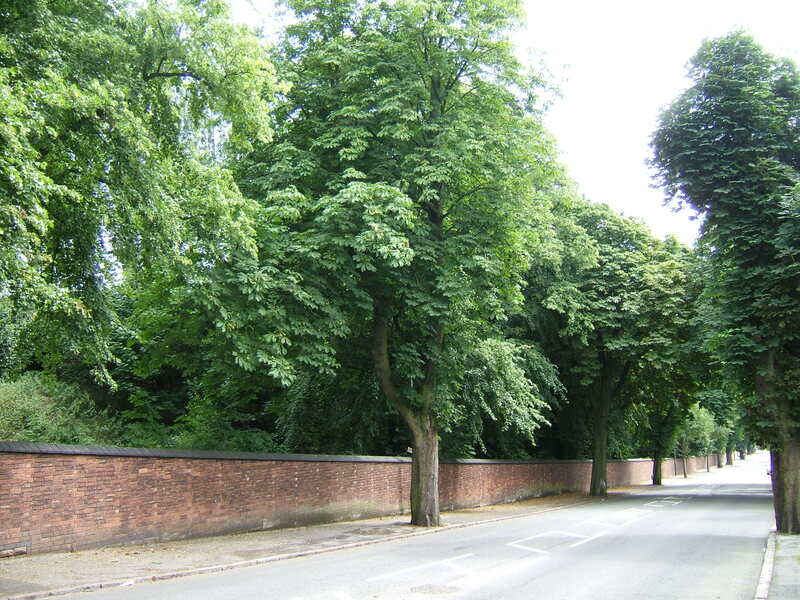 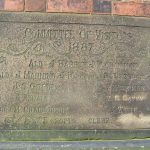 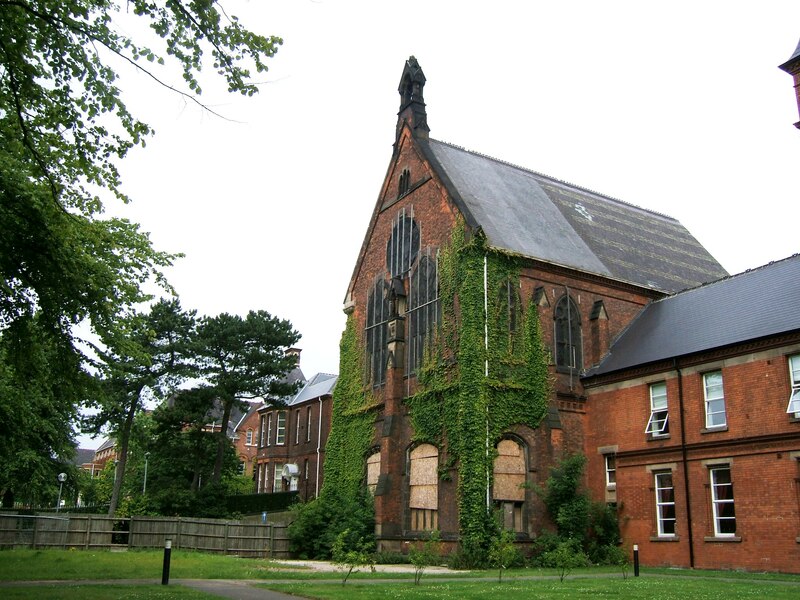 Seven architects submitted designs, but the winning proposal came from Nottingham’s own George Thomas Hine, son of the noted architect Thomas Chambers Hine, who was also based in the city and many of whose works can still be seen there today, including the General Hospital. 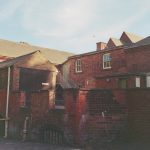 George Hine was a young and inexperienced architect at this point, and it is often noted that his father’s style pervades his first asylum design, although anyone familiar with Hine Junior’s later work will notice some of his little idiosyncrasies do already appear. 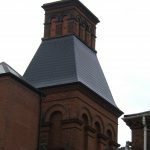 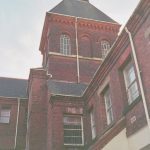 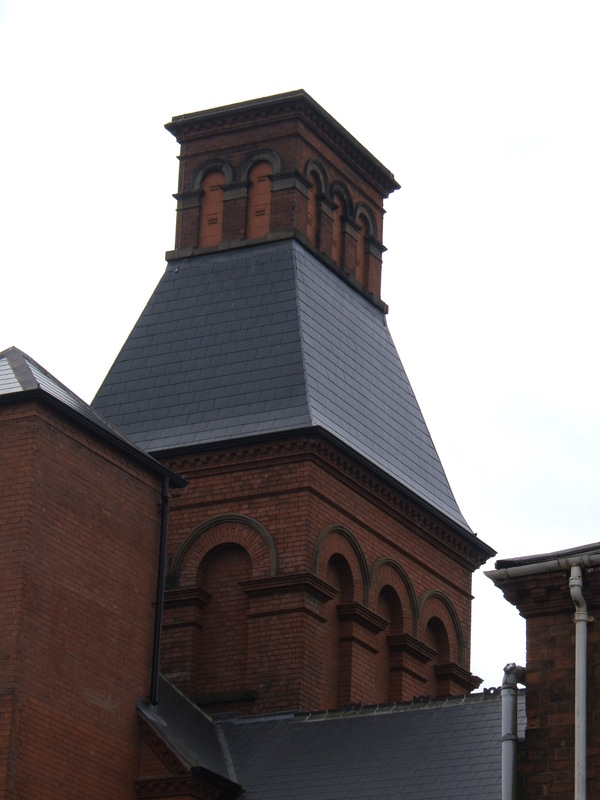 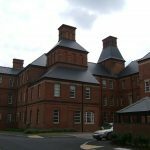 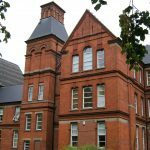 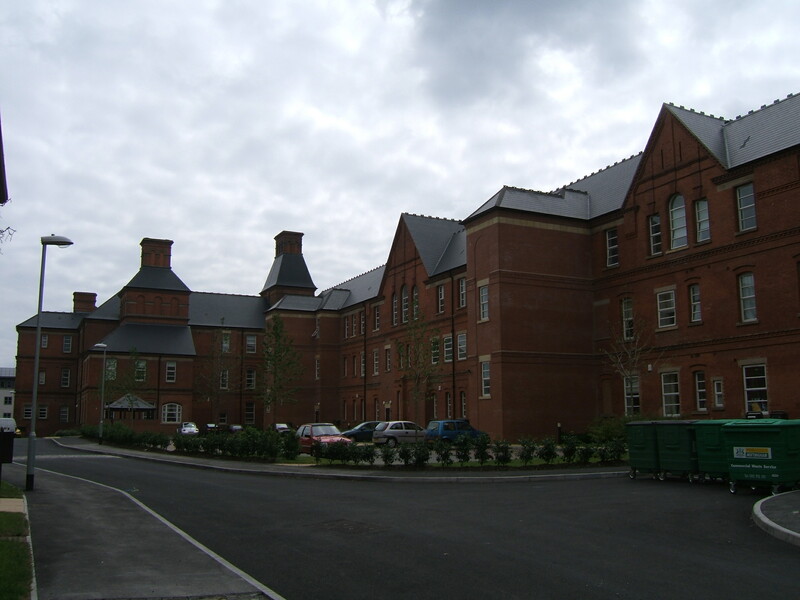 In terms of its layout, the new Nottingham Borough Asylum at Mapperley was an unremarkable symmetrical corridor plan in red brick, with stone banding and detailing, slate roofing and some pleasingly gentle gothic detailing. 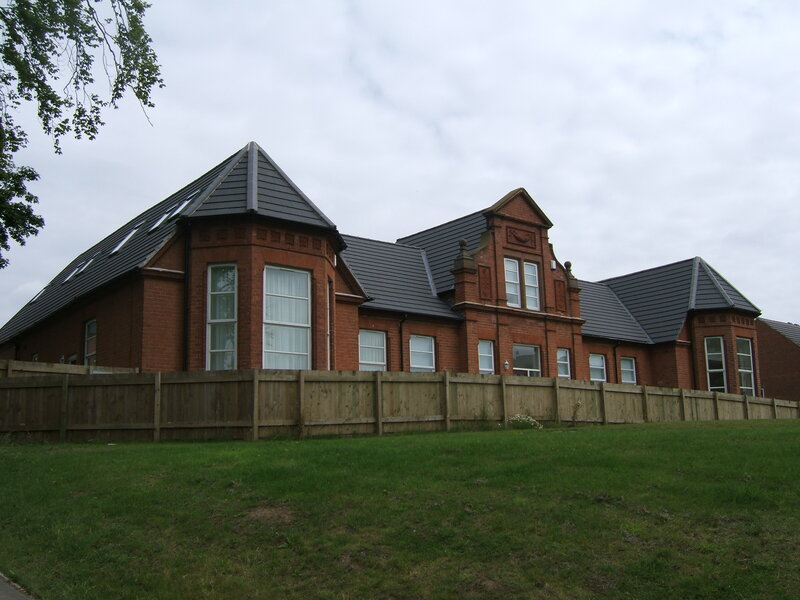 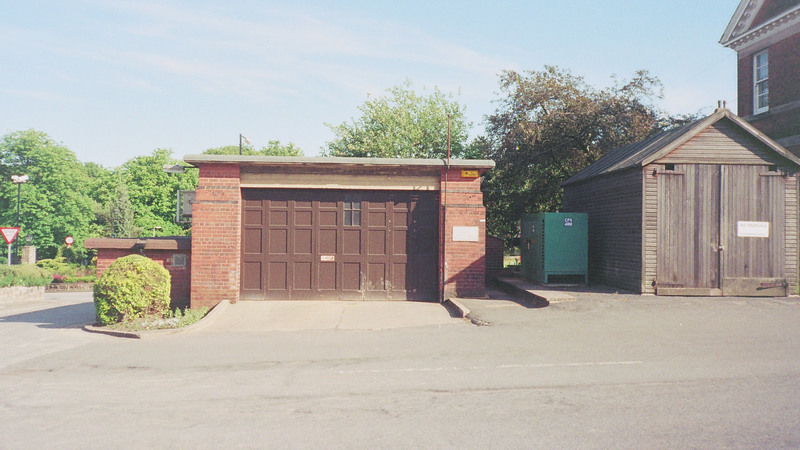 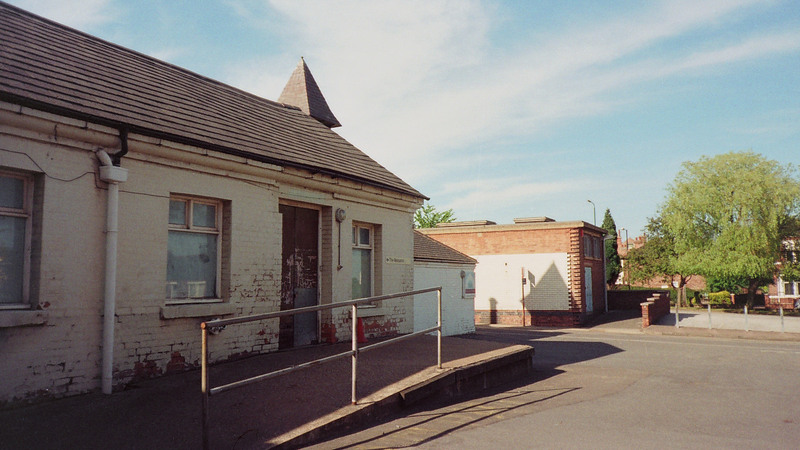 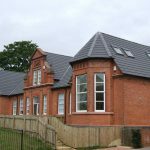 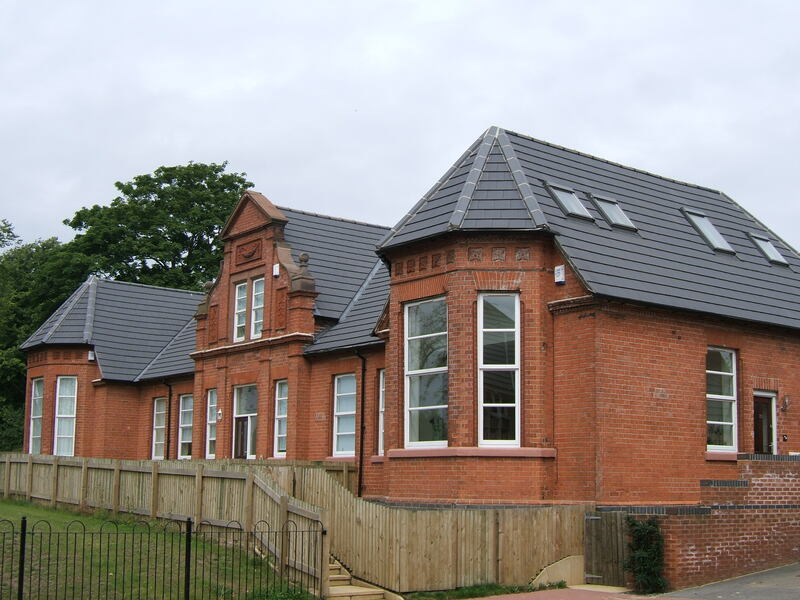 The centre was punctuated by an admin block with a short, capped tower, with central services located behind it, and a recreation hall to the very rear. 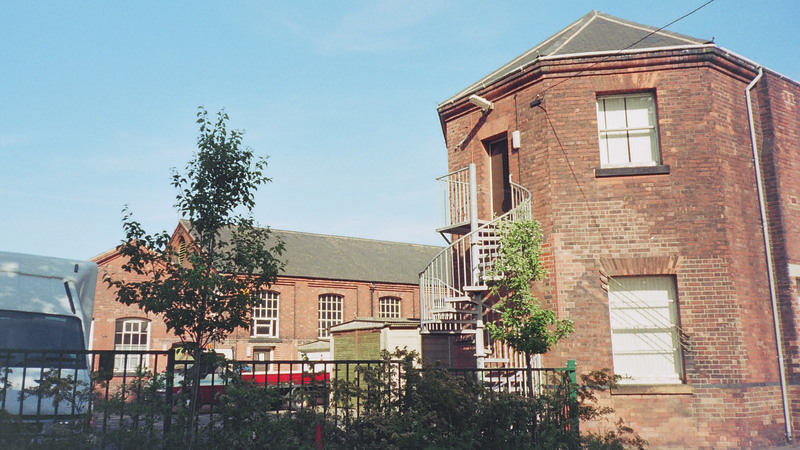 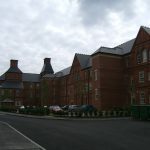 In fairness, Hine’s functional but restrained and unremarkable design at Mapperley gave little indication that he would go on to become the UK’s most prolific, inventive and influential asylum designer, completing 14 asylums in total, and making significant additions or extensions to 4 others. 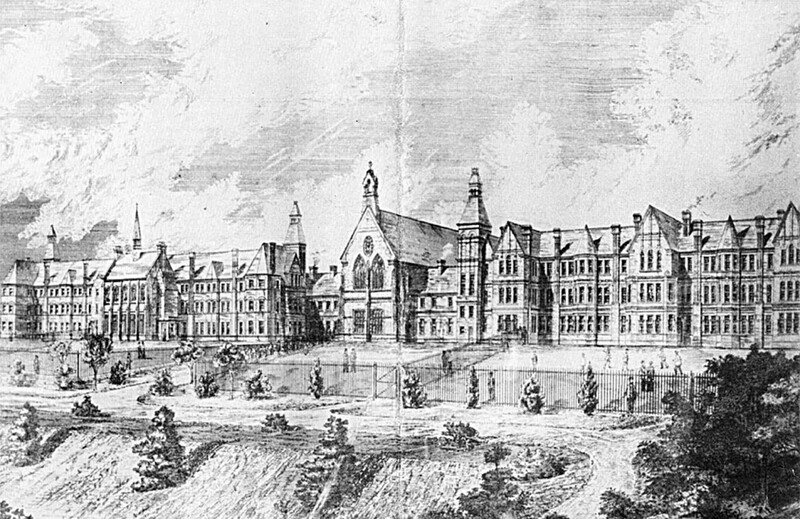 He would eventually move his practice to London, and go on to design many of the London County Council’s immense asylums from his ground-breaking work at Claybury (1893) onward until his early death in 1916. 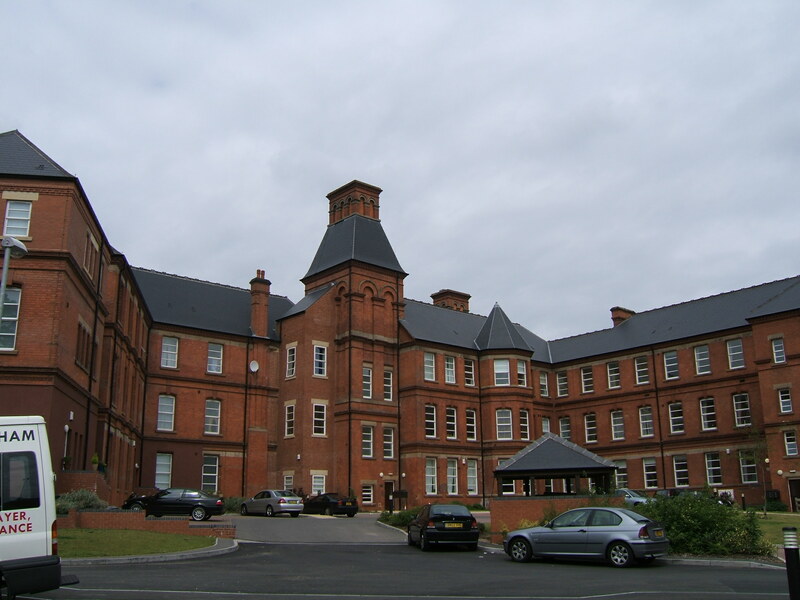 6am First bell, patients to rise. 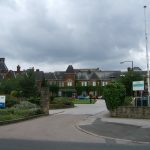 8:30am Patients go out to work. 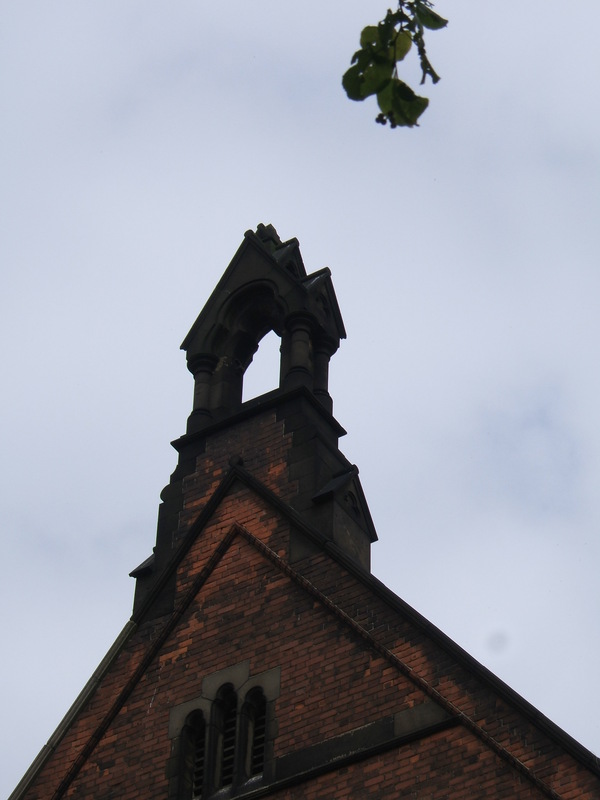 12:15pm Bell for preparations for dinner. 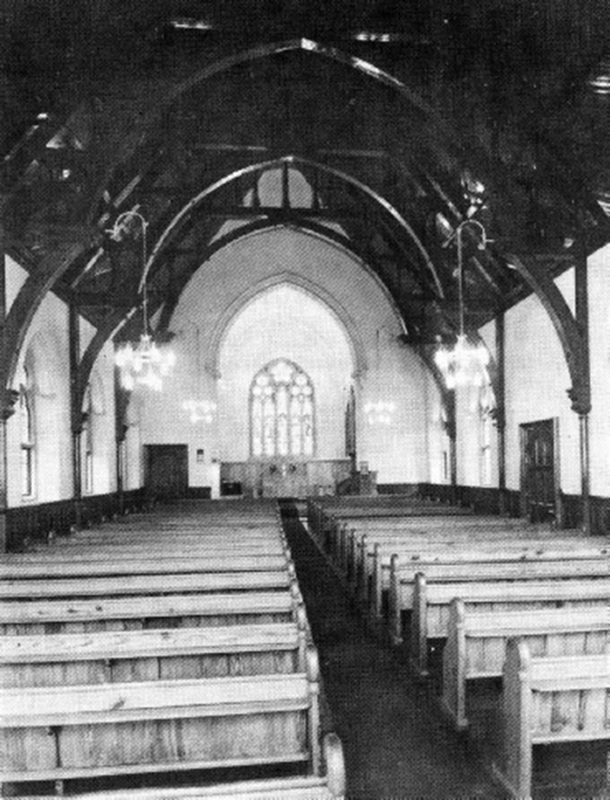 1pm Bell for Attendant’s first dinner. 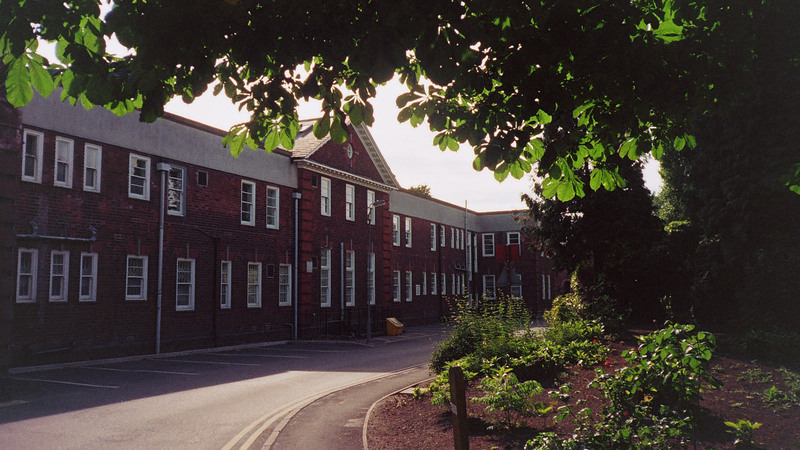 2pm Patients back out to work. 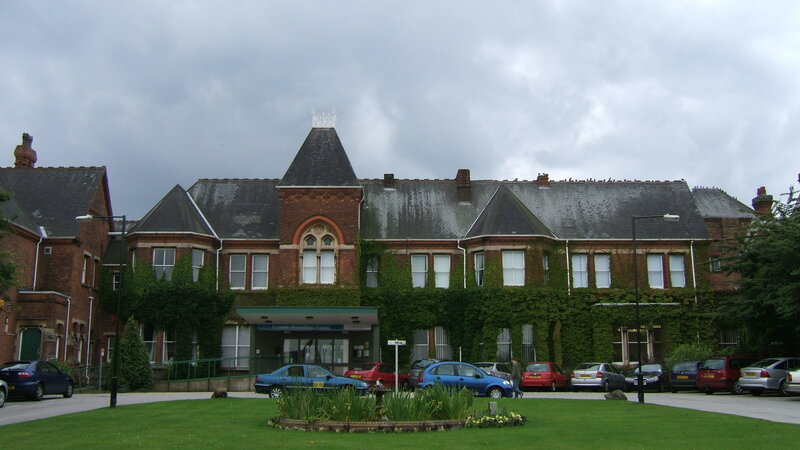 5:30pm Bell for patients to return from work. 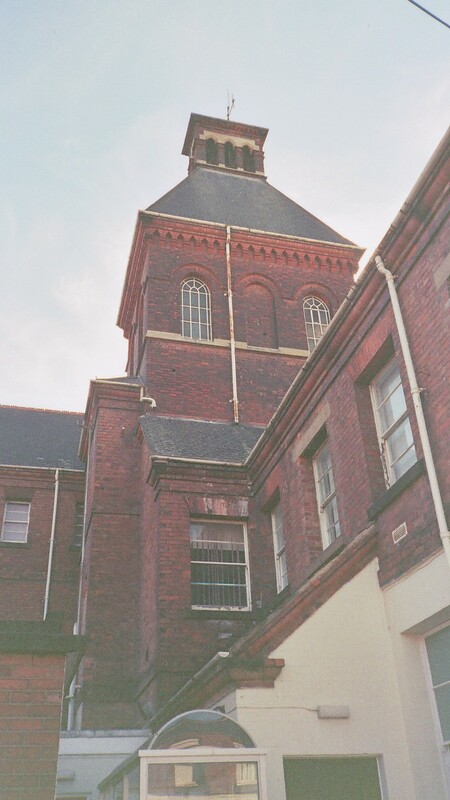 6pm Bell for patient’s supper. 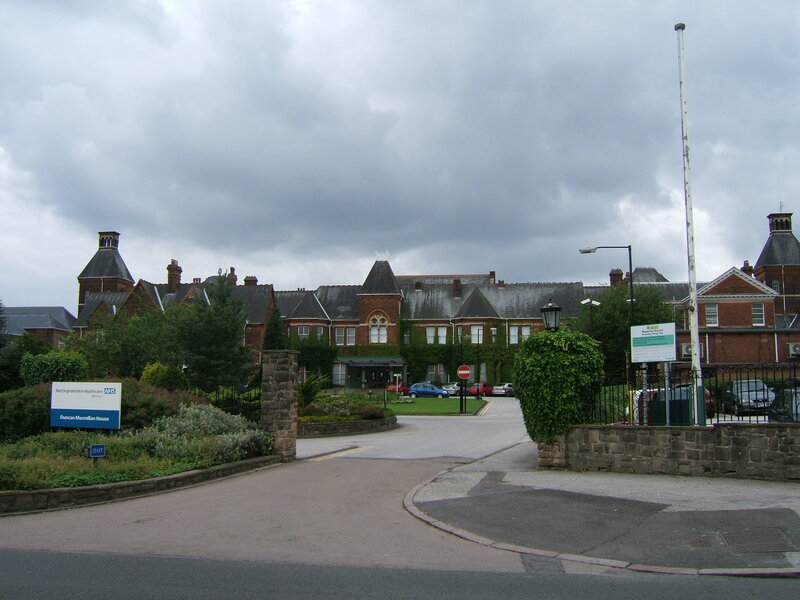 7:30pm Patients go to bed. 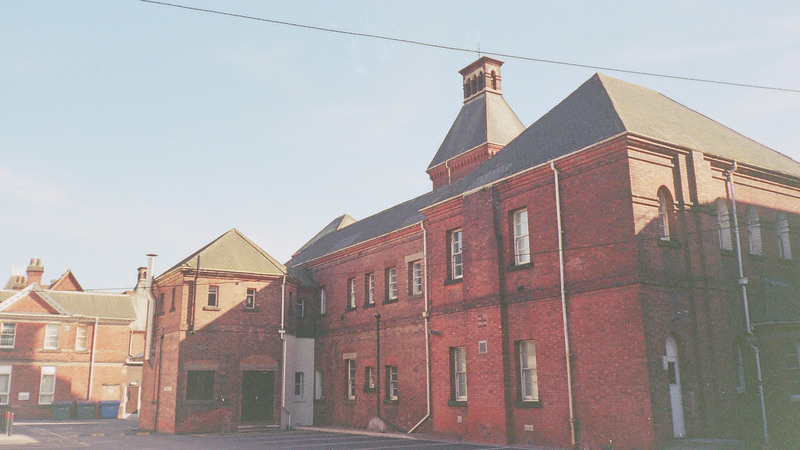 8pm Bell for day Attendants to go off duty. 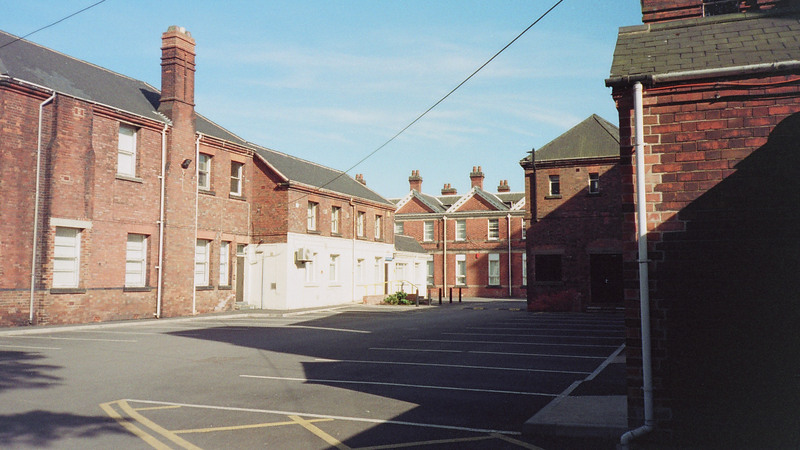 10:30pm Attendants to be in bed, and all lights out. 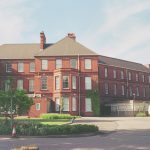 In 1890, Mapperley admitted a small number of private fee-paying patients, and it was also decided that war veterans would be allowed to dine in the separate, better tables with the private patients. 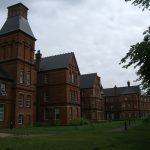 Although soon becoming overcrowded (as was the case at almost every British asylum within just a few years of opening), surrounding land had been kept aside for the inevitable expansions, and Hine was called on again to provide these. 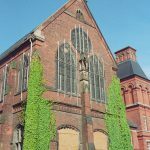 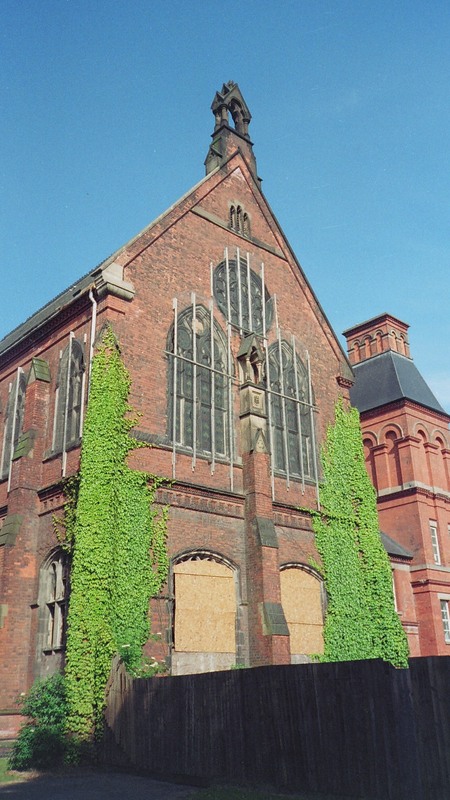 The 1889 extensions consisted of the “south side”, which included six additional wards, a secondary kitchen, dining hall, and a combined split-level recreation hall / chapel for 500 people. 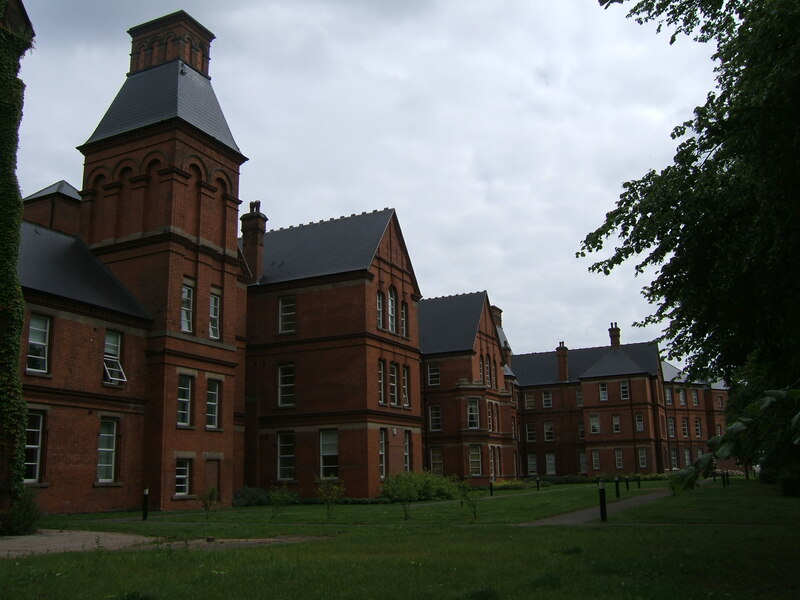 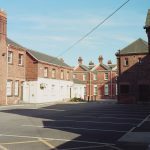 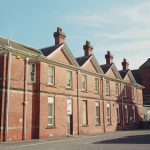 The original building was given over fully to accommodating female patients, with the new side given over to the males, in keeping with the rules of gender segregation believed appropriate at the time, but the asylum was overcrowded again within a year. 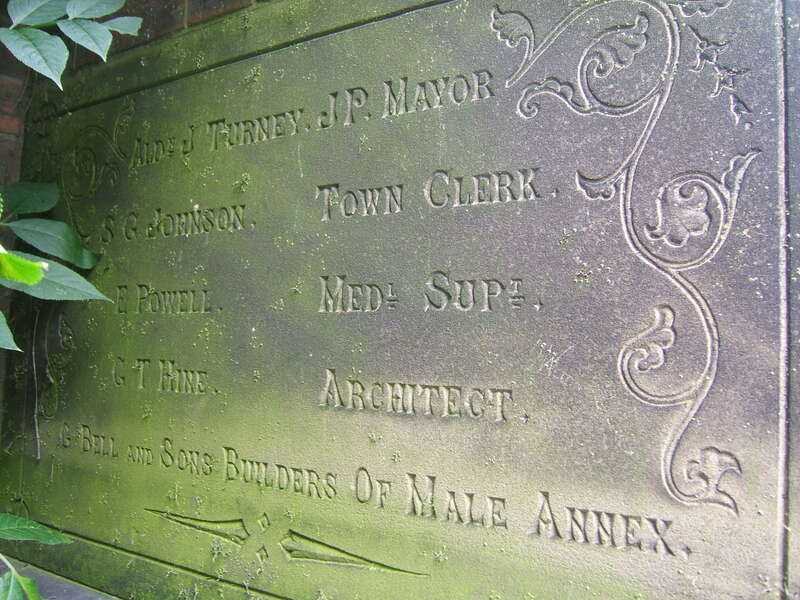 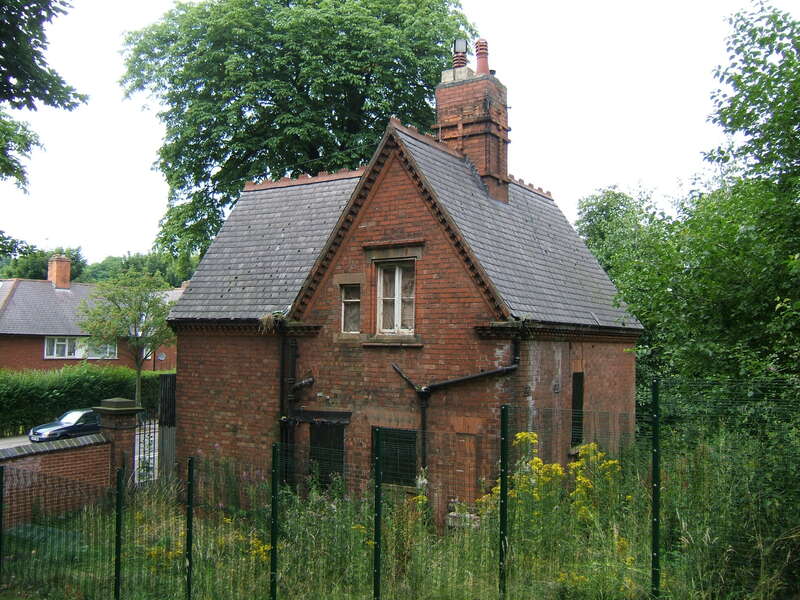 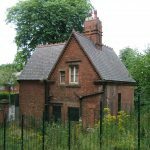 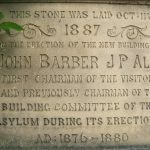 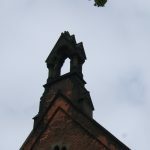 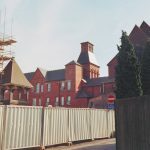 As with all asylums, Mapperley (referred to by locals as “the building”) strove for self-sufficiency, with its own farms, bakery, library, kitchens, plumbers, carpenters, upholstery rooms, tailors, sewing rooms, laundry. 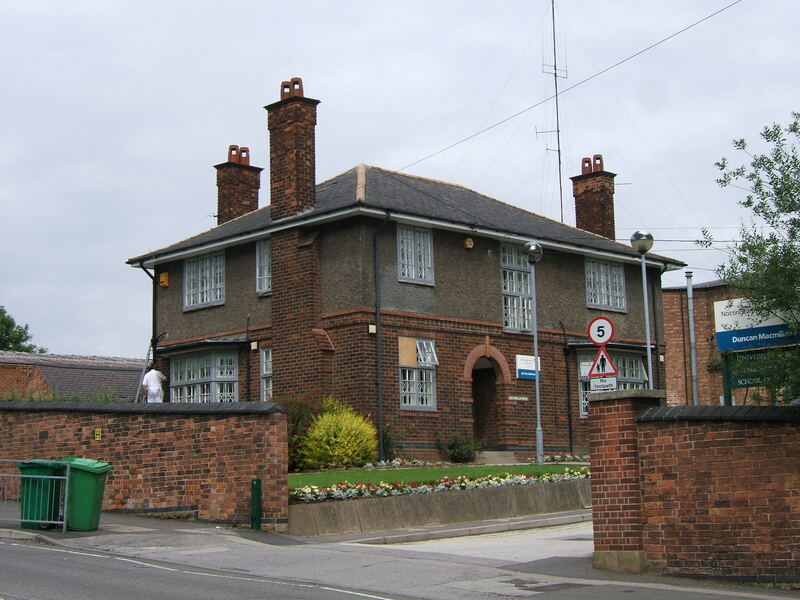 Electricity was introduced somewhat late in 1924, which then allowed for wireless broadcasts to be played throughout the wards, and cinema equipment was installed in 1927. 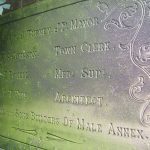 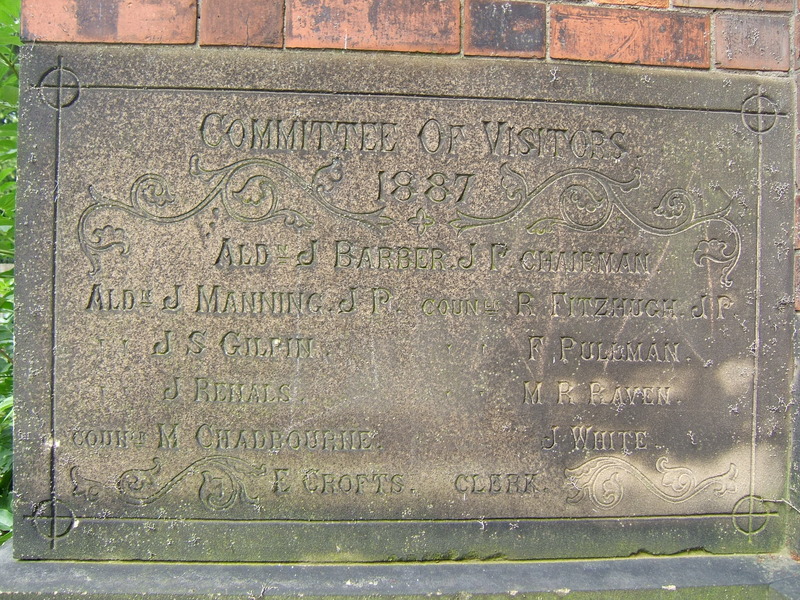 In 1921 Dr Powell, who had been the Medical Superintendent since Mapperley opened, finally retired after 41 years’ service to be replaced by Dr G. Brunton, previously of the North Riding County Asylum (Clifton). 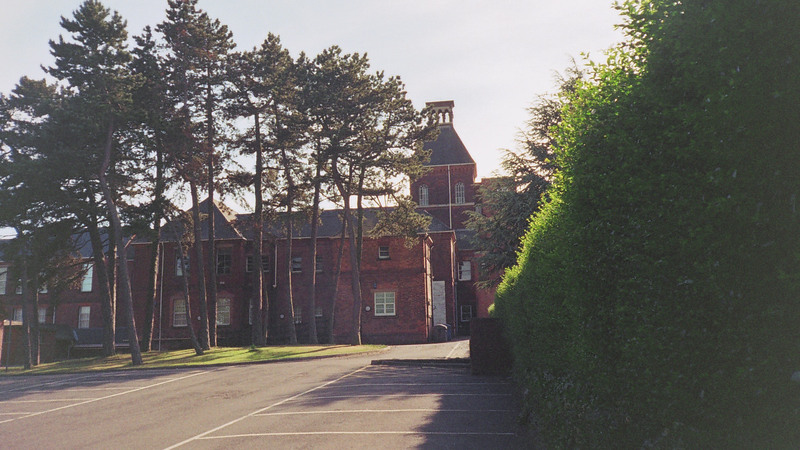 He was replaced by the final man to hold the title of Superintendent, Dr Duncan Macmillan, who began at Mapperley in 1941. 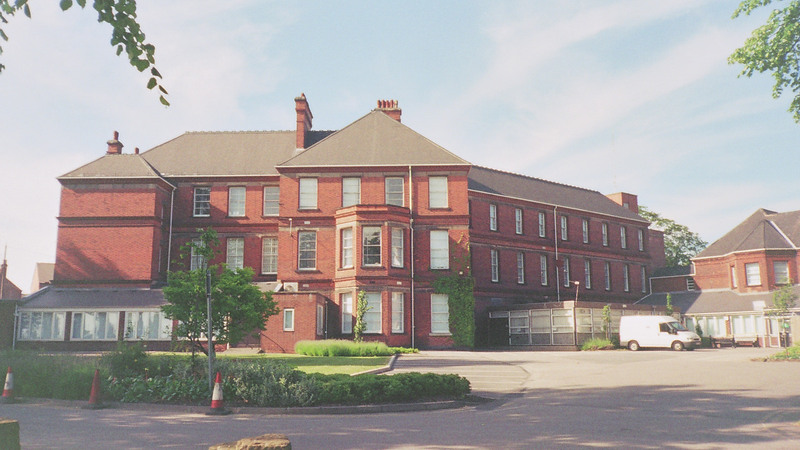 It was Dr Macmillian who was responsible for bringing about sweeping changes to the regime and management of the building, which from 1948 had been renamed simply “Mapperley Hospital”. 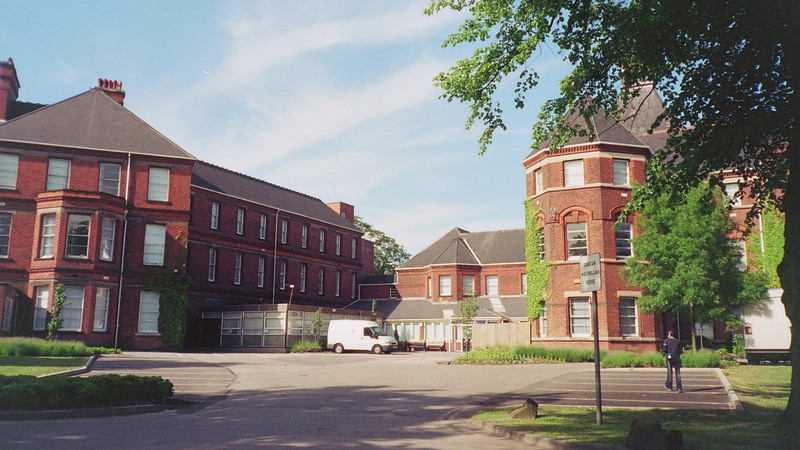 Although patient numbers would begin to fall in most mental hospitals from the 1960’s onward, the 1950’s were usually the most overcrowded, but during that decade, Macmillan instead began to reduce numbers wherever possible in order to provide a less stretched, more therapeutic environment. 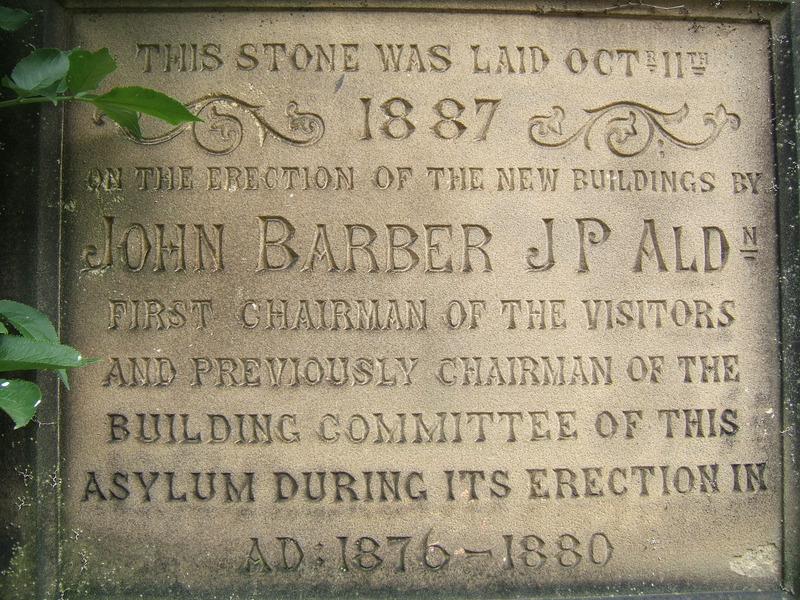 He achieved this party by reclassifying many of the chronic, certified patients (those who had often been given-up as lost causes in most of the demoralised, overcrowded institutions of the 1950’s) as “voluntary”, and worked toward giving them a new perspective on their ability to cope outside the institution. 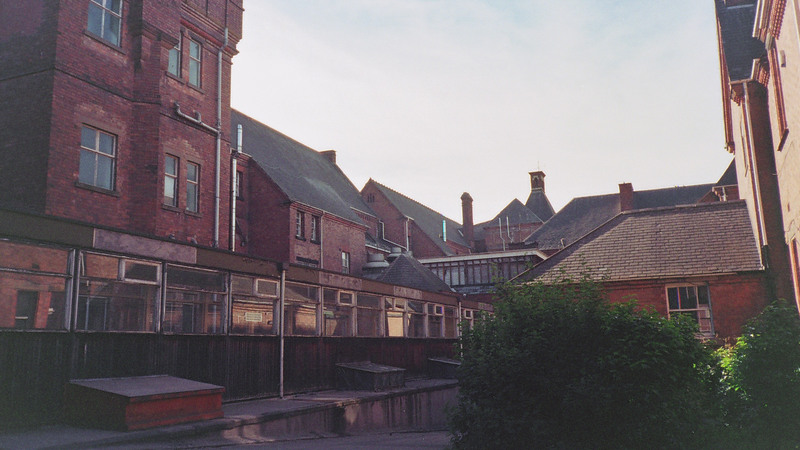 He also introduced a policy to be applied to the “back wards”, ie: the wards which had generally been given over to those thought beyond rehabilitation, whereby when any patient left or died, their bed would be removed and not replaced, and no patient would ever be transferred there from any other ward. 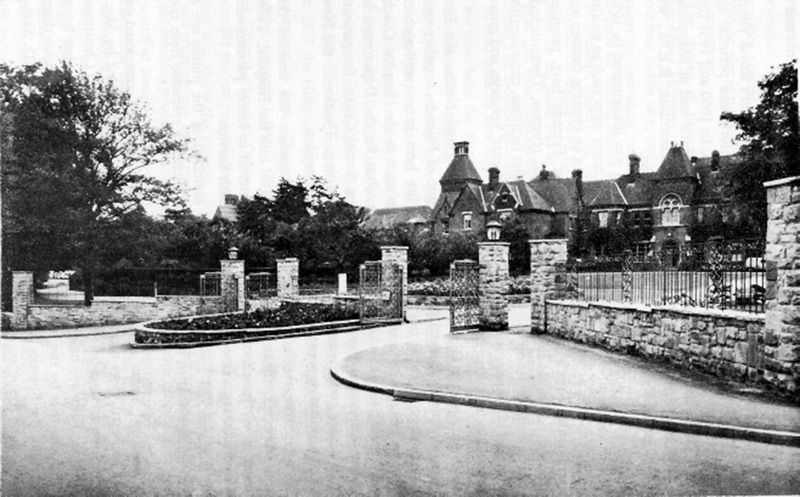 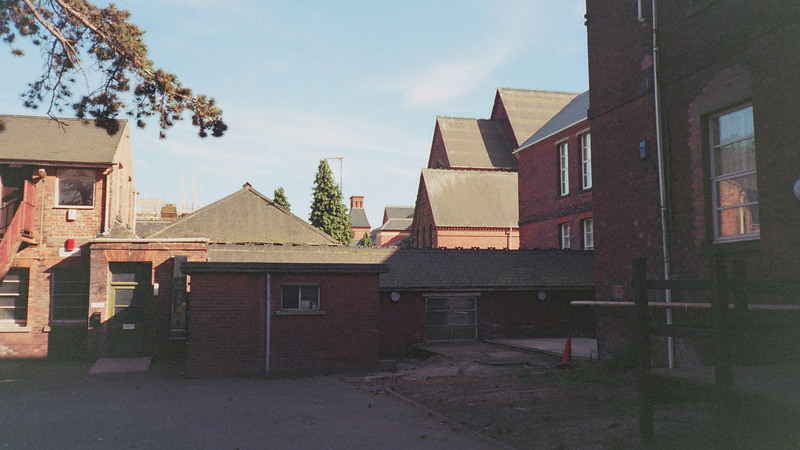 In 1952, the wards were all refurbished, and Mapperley also became the first mental hospital to unlock them all, going on to completely abandon the practice of seclusion, with the padded cells being dismantled in 1956. 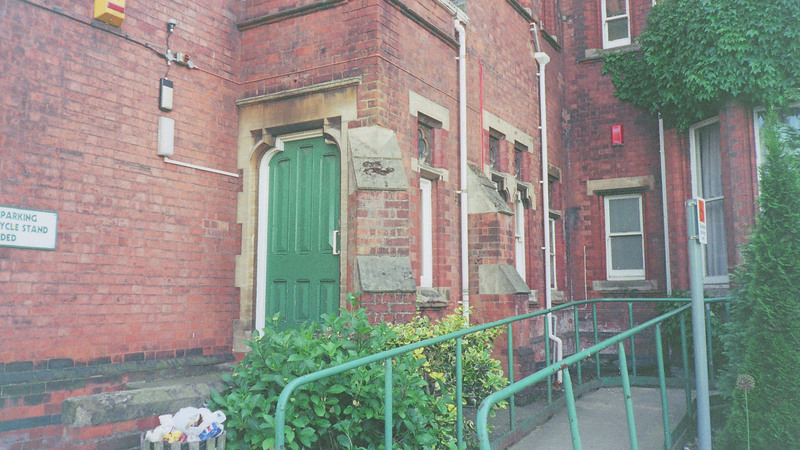 Duncan Macmillan retired 1966 and died suddenly in 1969, but he had fought hard against the scepticism of most of the psychiatric profession, some of whom openly mocked his “revolving door psychiatry” to bring in a new way of looking at patients, as well as encouraging patients to have a new way of looking at themselves, eventually playing a huge role in changing the perception of what a mental hospital could be, and his tenure represents the most socially and medically important stage of Mapperley’s history. 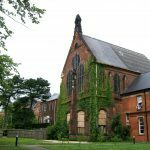 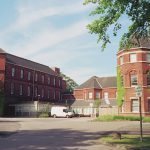 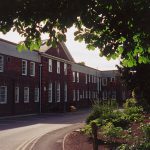 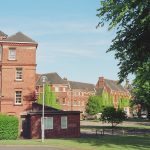 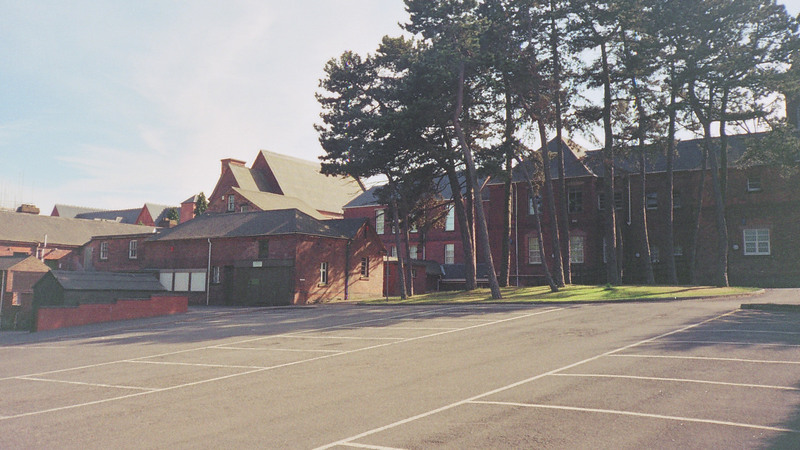 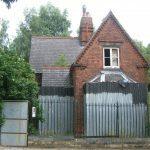 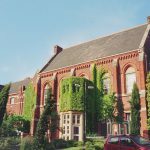 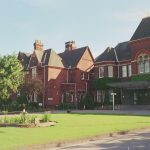 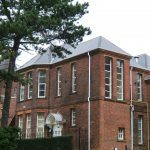 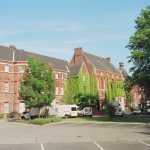 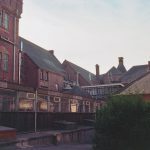 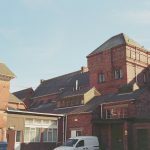 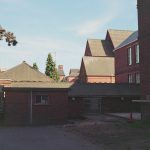 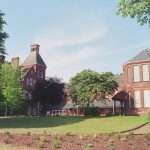 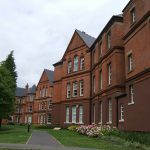 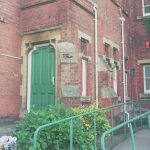 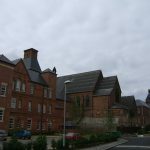 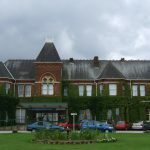 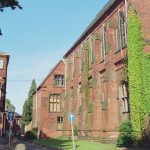 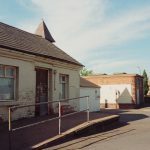 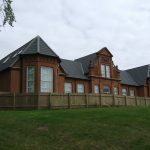 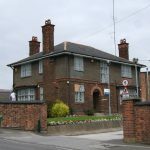 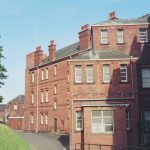 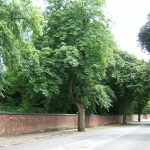 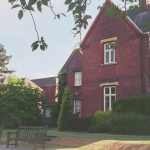 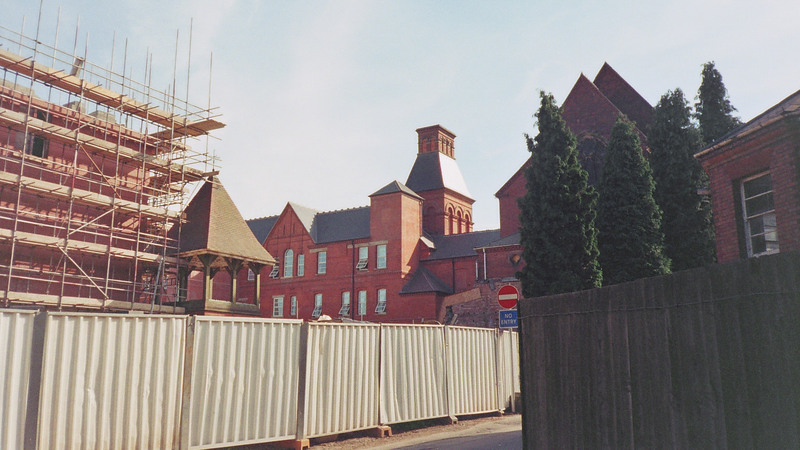 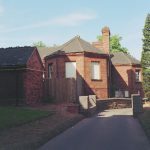 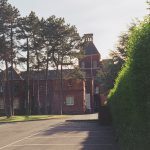 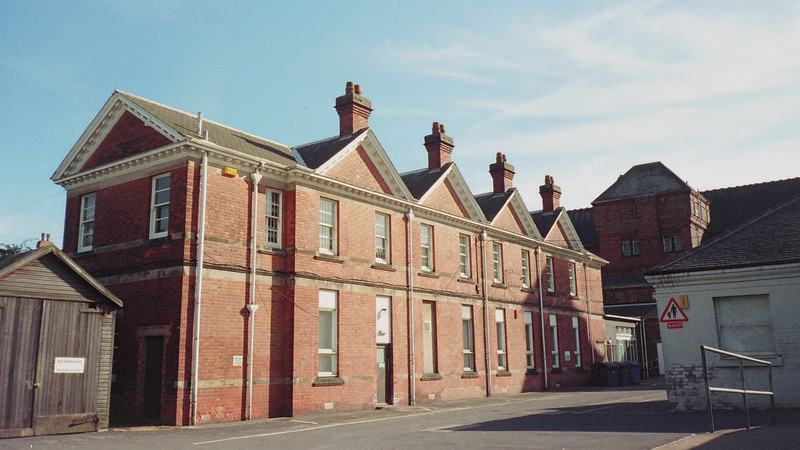 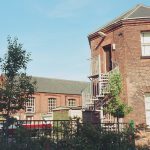 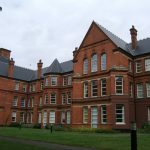 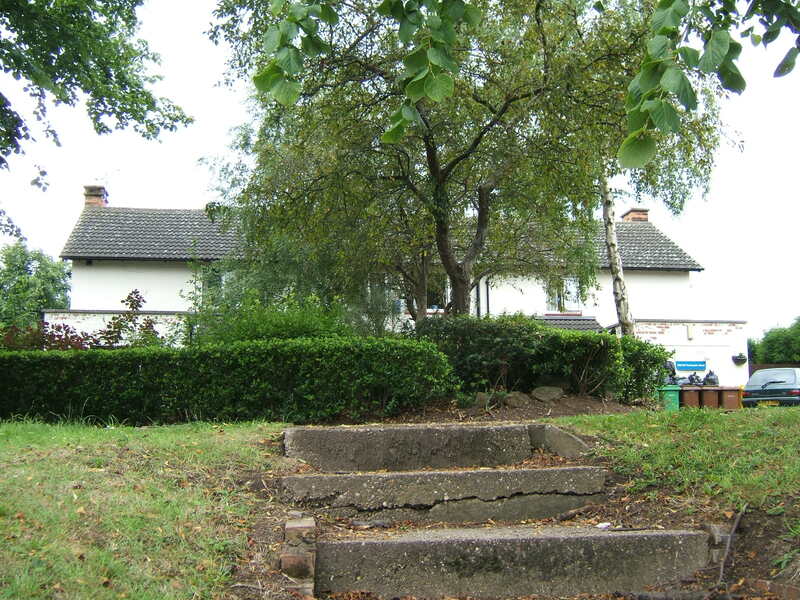 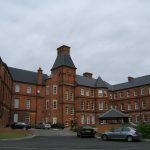 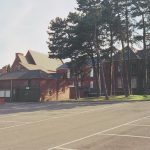 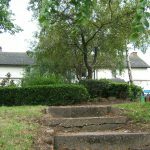 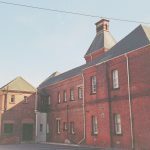 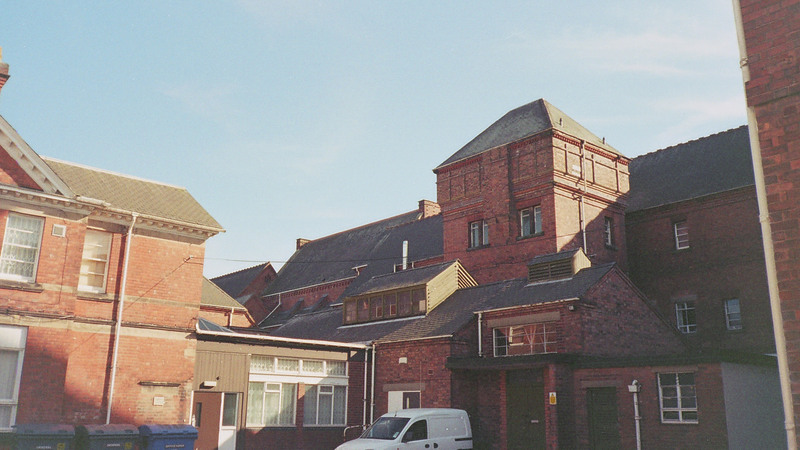 Patient numbers were wound down dramatically during the 1980’s and Mapperley finally closed as a psychiatric hospital in December 1994, although there is still a modern medium-secure forensic unit on-site. 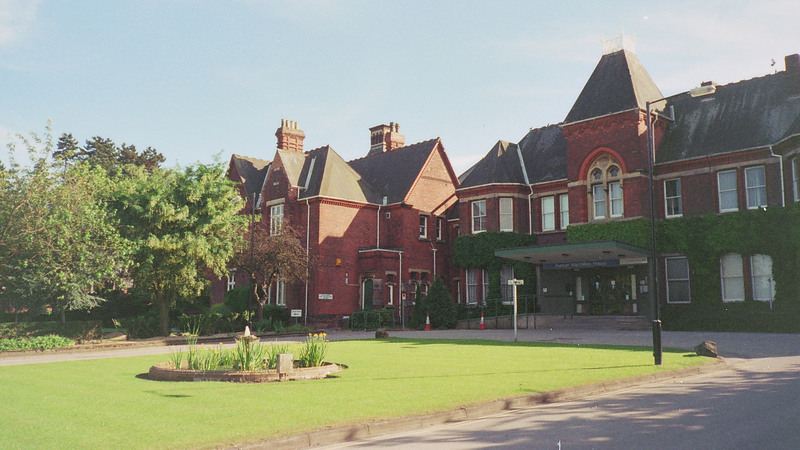 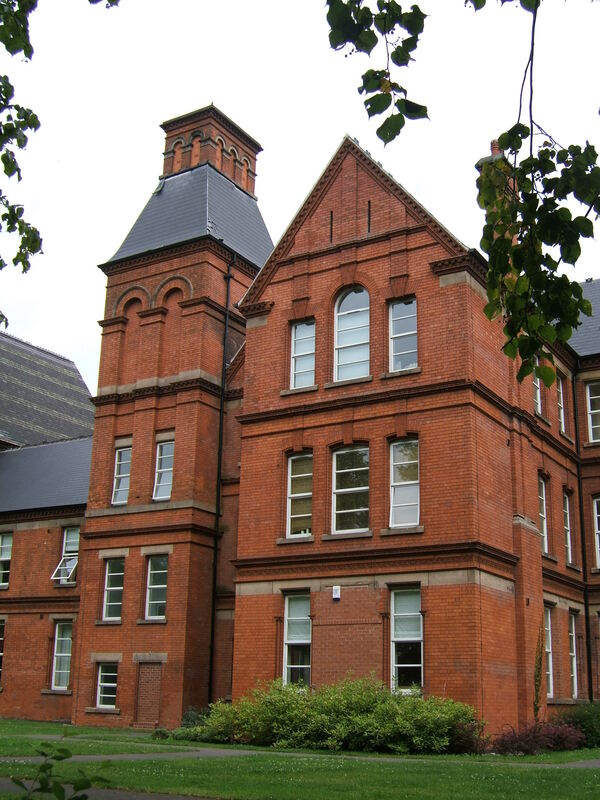 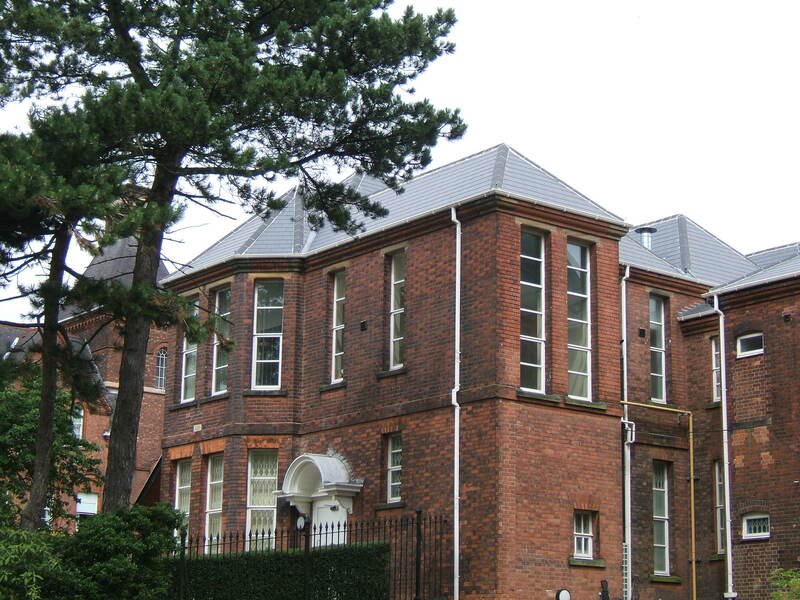 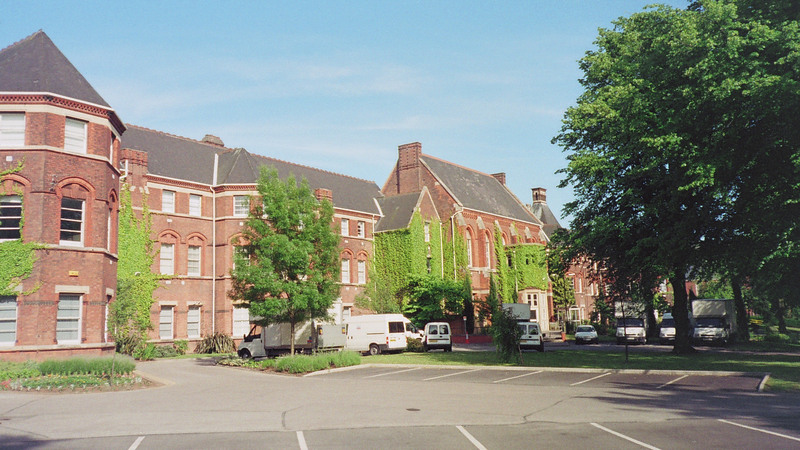 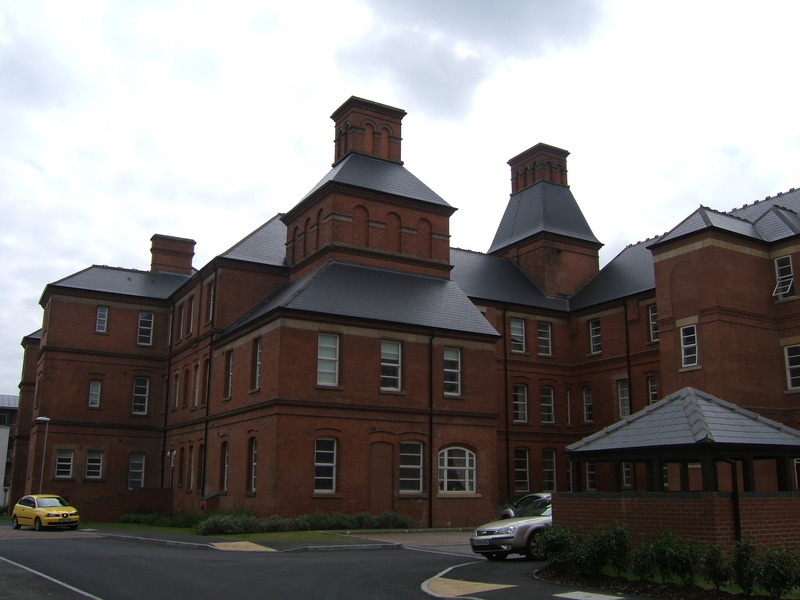 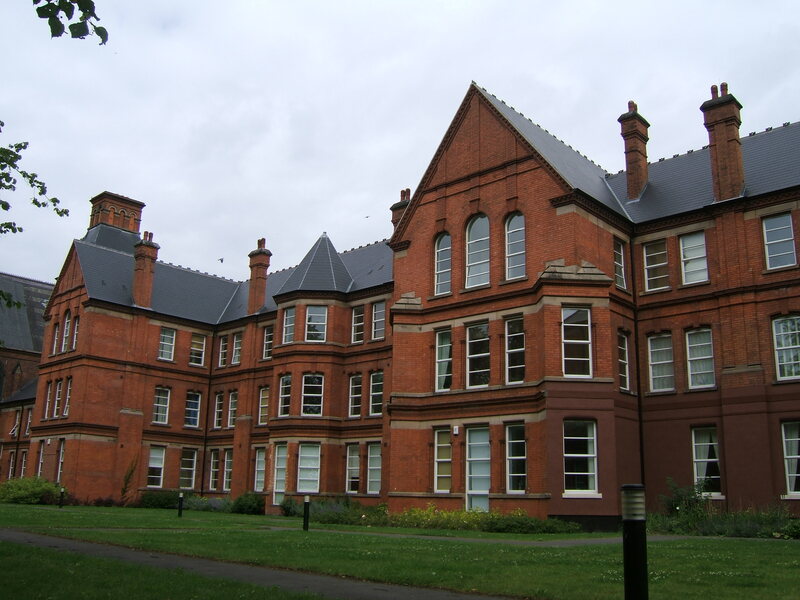 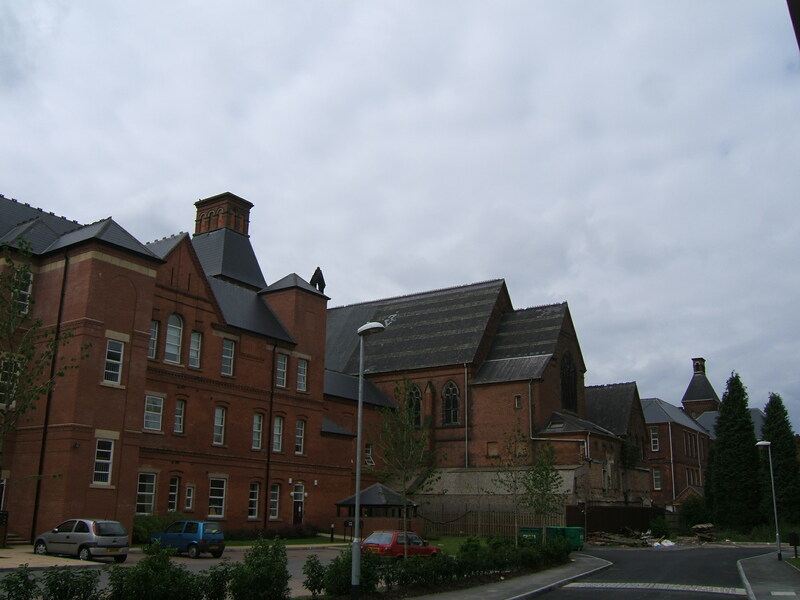 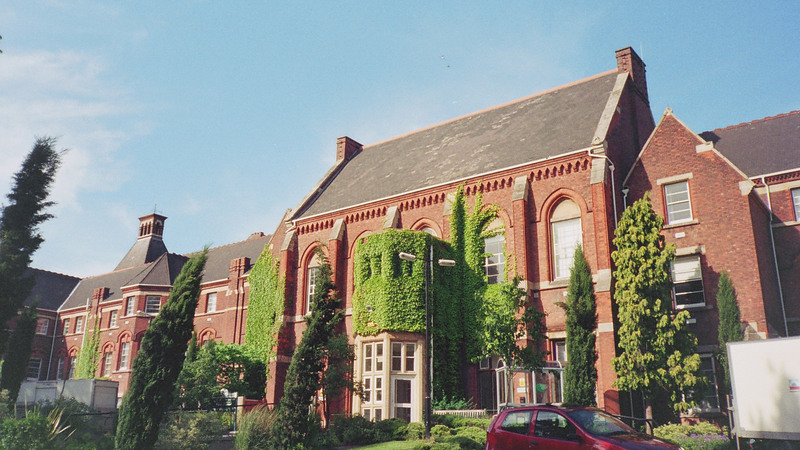 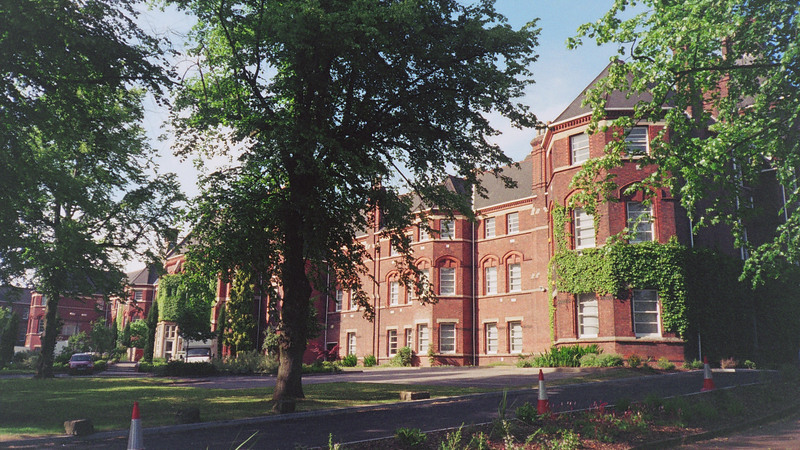 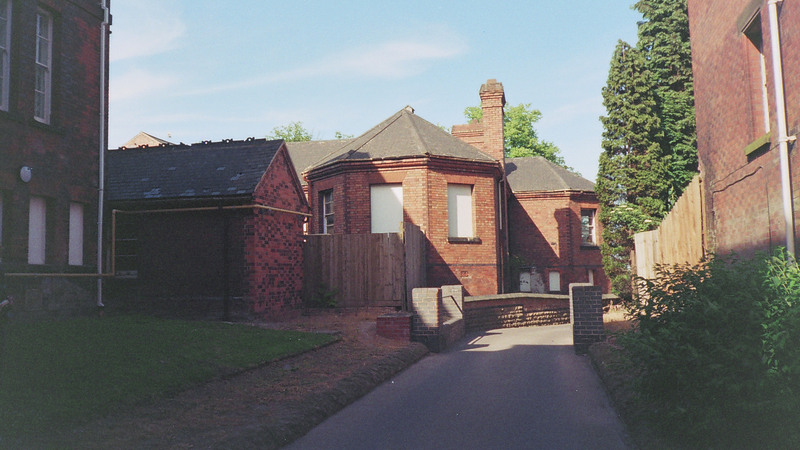 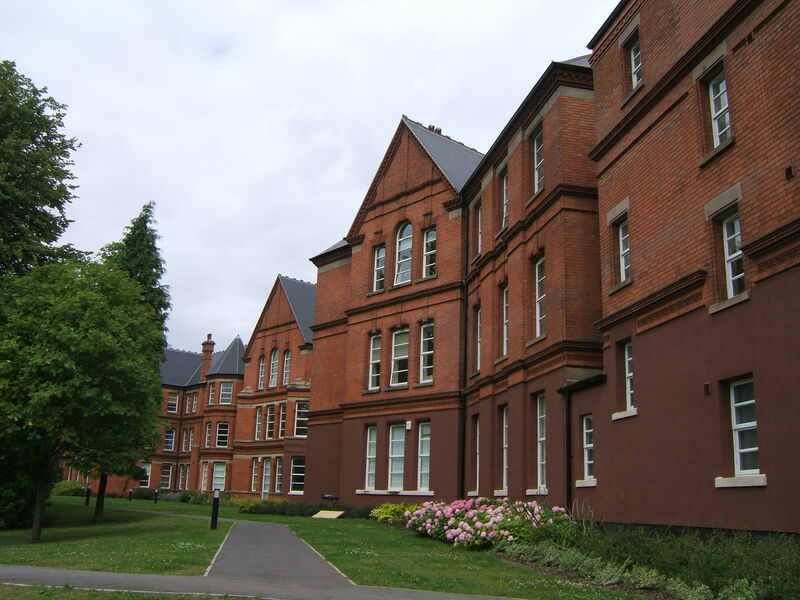 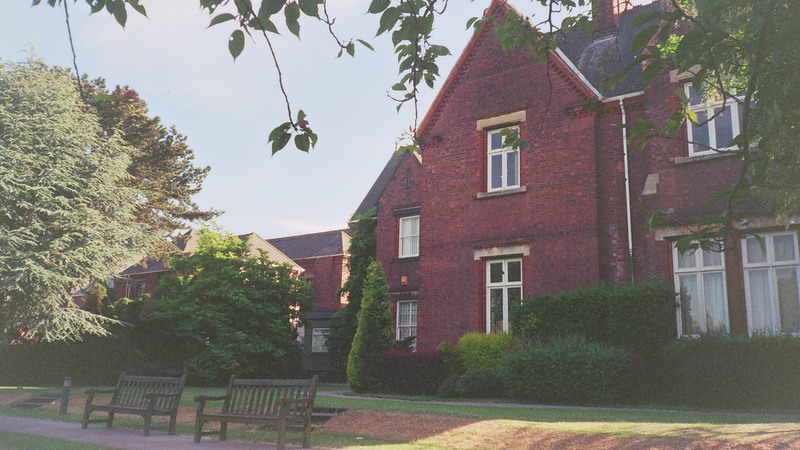 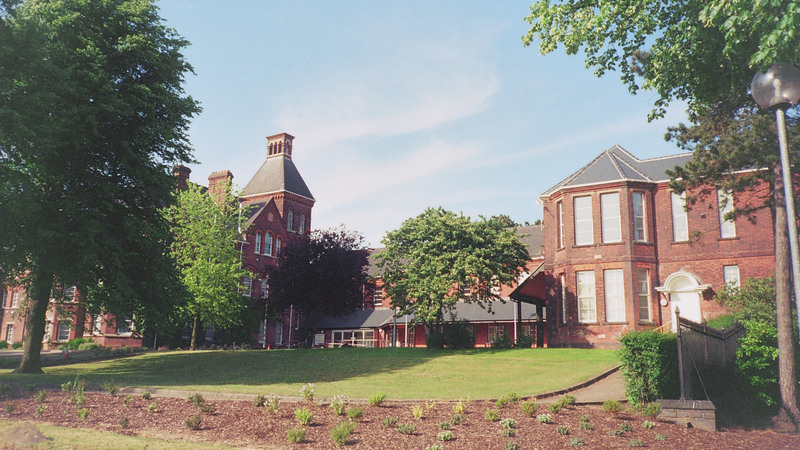 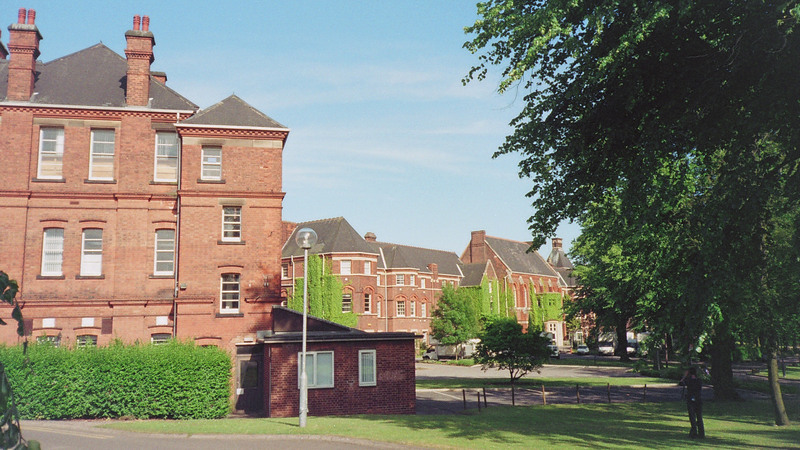 The 1889 extensions are now converted to housing, while the original “north side” is currently in use as the University of Nottingham’s medical school, renamed “Duncan Macmillan House”. 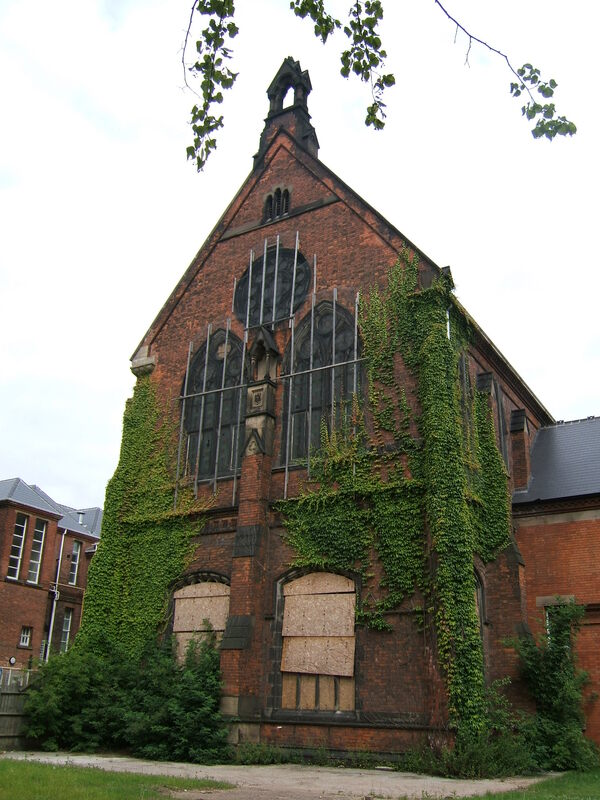 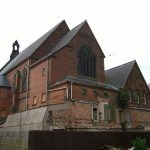 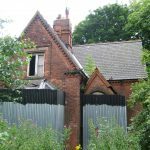 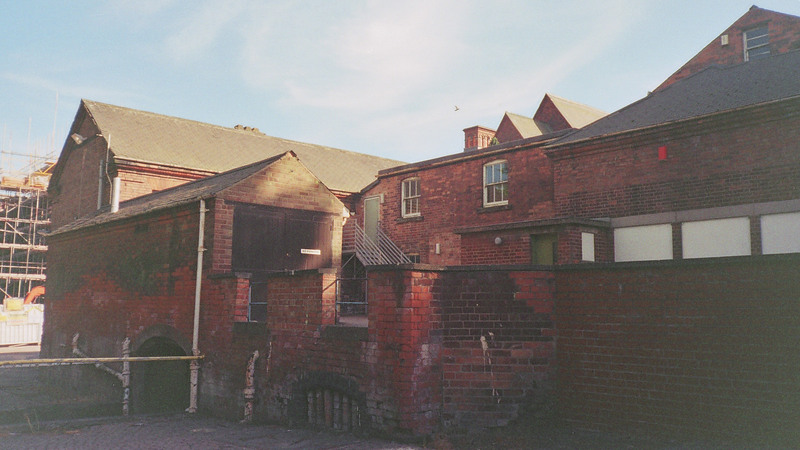 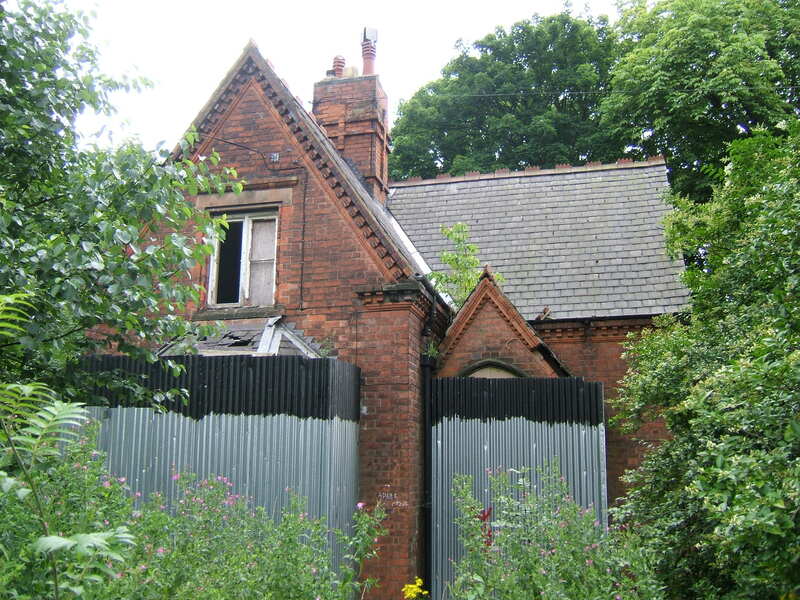 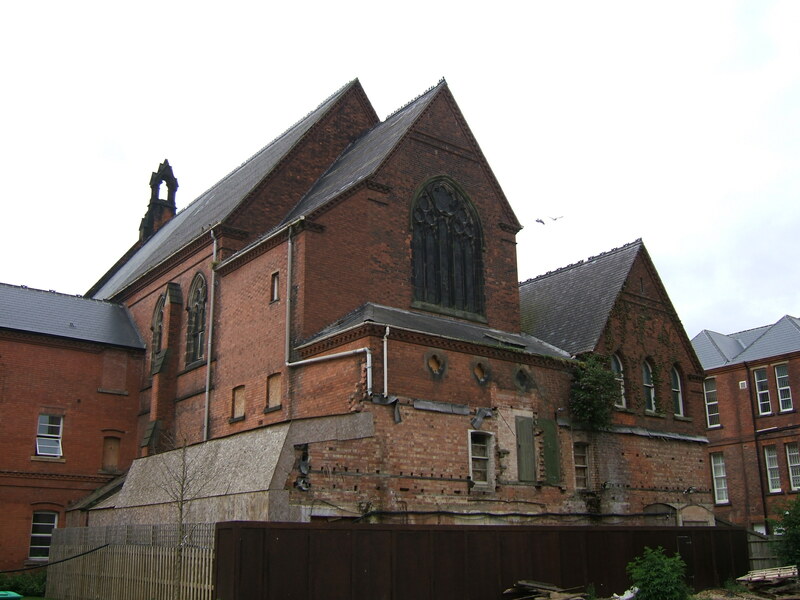 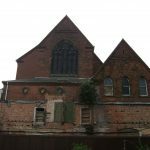 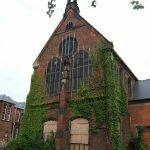 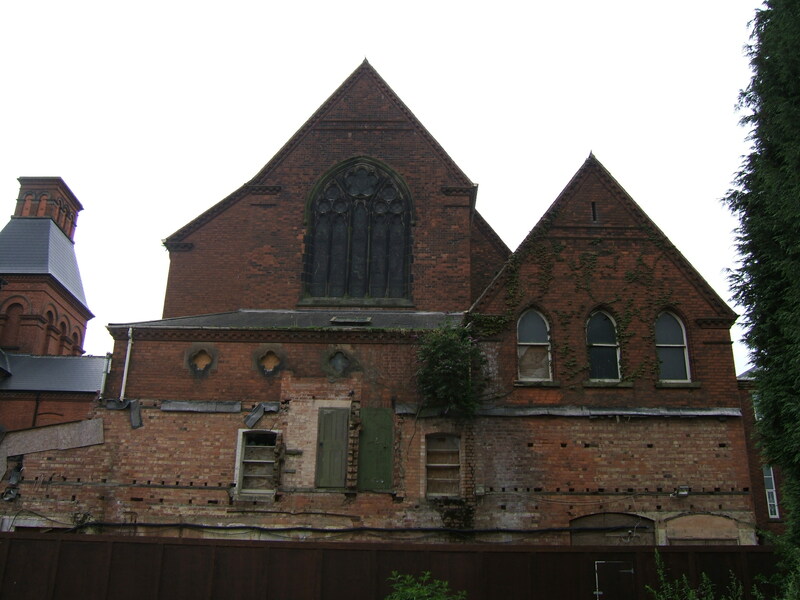 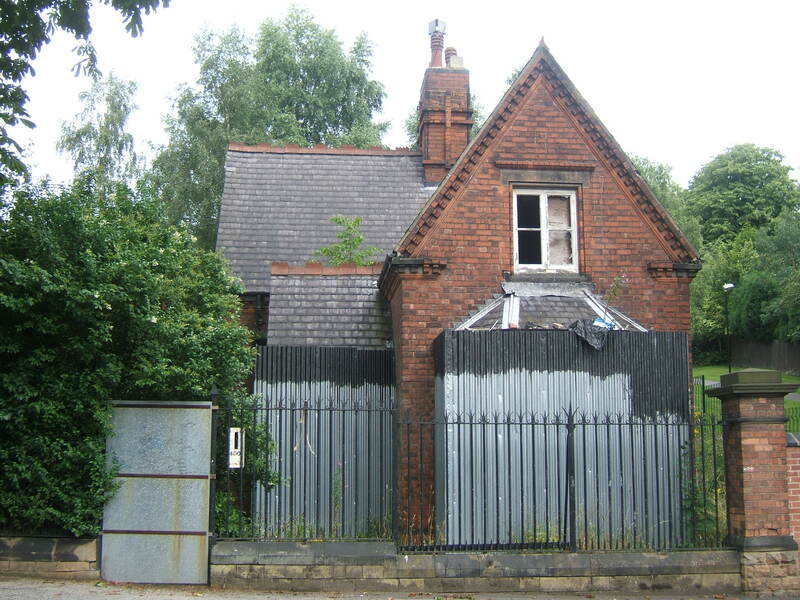 Hine’s split-level chapel/hall at the centre of the site remained empty, becoming increasingly derelict until an urgent works notice was served by Nottingham City Council in 2014, which has seen the building subject to protective repair, although no new purpose has yet been found for it. 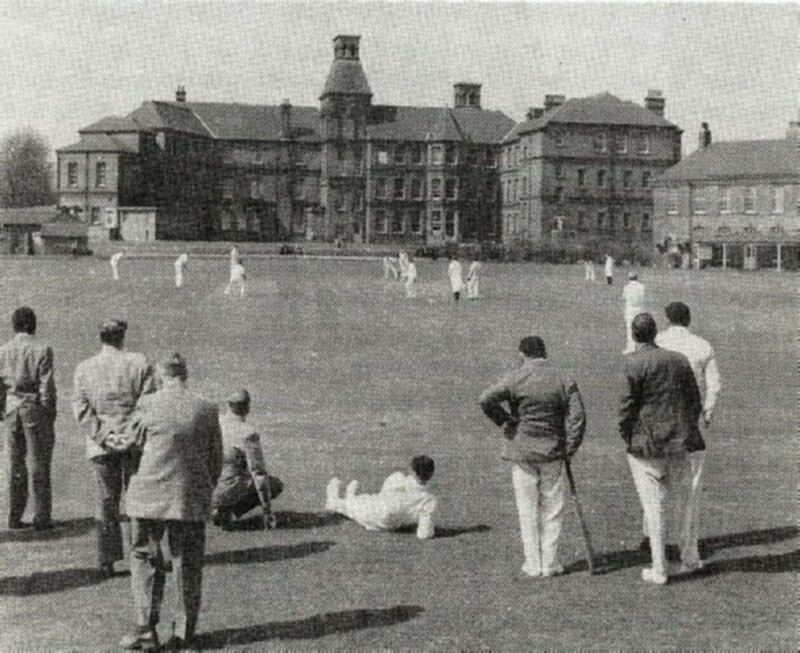 As viewed from cricket pitch.